In 1997, Drs. 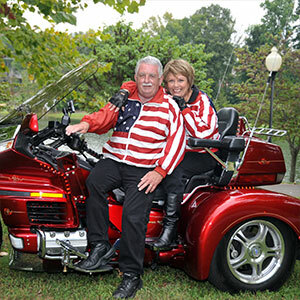 Philip Campbell and Les Cunningham built the Knoxville area’s first on-site LASIK surgery center. Since then, the Campbell Cunningham Laser Center has improved the vision of thousands who suffered from nearsightedness, farsightedness and astigmatism. The surgeons of the Campbell Cunningham Laser Center combine state-of-the-art technology with the area’s most experienced eye care support team to offer comprehensive vision correction procedures. 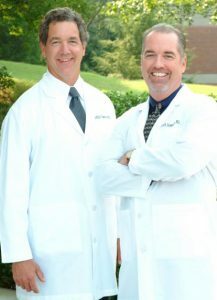 The First Ophthalmologists to Perform LASIK in Knoxville. At the same time, Intralase™, dramatically reduces the risk of complications, making it one of the safest forms of surgical vision correction available today. Since introducing LASIK to the area, the Campbell Cunningham Laser Center has performed more than 10,000 LASIK procedures. †Outcomes may vary. Ninety-eight percent of nearsighted patients participating in the Advanced CustomVue™ FDA clinical trials could see 20/20 or better one year after treatment. Always at the forefront with the latest eye care technology, the Campbell Cunningham Laser Center is excited to bring iLASIK to the Knoxville area. iLASIK further personalizes the LASIK procedure—a major improvement because every eye is unique. The first step in the iLASIK procedure is to perform a WaveScan WaveFront™ analysis to create a 3-D map of the eye. Using this state-of-the-art technology to create a personalized map, Laser Center doctors know exactly how to reshape the cornea to correct the individual patient’s vision. This level of personalization has only been possible with the new iLASIK technology. Using IntraLase—which employs no blades, only lasers—the surgeon creates a thin LASIK flap that is folded back. 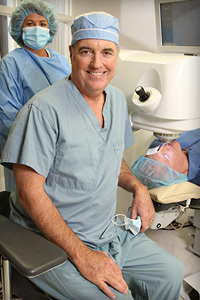 The surgeon then uses a “cool” laser to gently reshape the cornea. This takes only a few minutes and the flap is then folded back into place and the operation is complete. 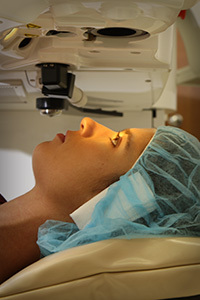 iLASIK is now the accepted gold standard of LASIK technology. In fact, all branches of military use the technology for their personnel, including fighter pilots and NASA astronauts. 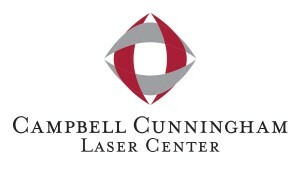 The Campbell Cunningham Laser Center is located at the main office of the Ophthalmology practice of Drs. Campbell, Cunningham, Taylor & Haun on Weisgarber Road in West Knoxville. Local radio personality Gunner decided on Custom LASIK at the Campbell Cunningham Laser Center. LASIK® can be one of the most liberating experiences a person can have. Since glasses and contact lenses can get in the way of enjoying the best moments of life, newfound freedom can make every day more enjoyable. You really can live better, lens-free!